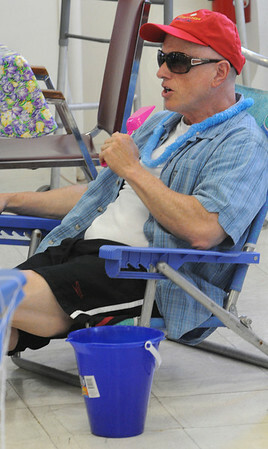 Bill Woolley, assistant director at the Senior Center, uses a plastic shovel as a microphone while singing along with the Senior Tones at the Fathers Day luncheon held at the Senior Center. The theme of the luncheon was “at the beach”. After lunch the Senior Tones, provided music of the 30s and 40s.